Who’s ready to hear the inside scoop on Secrets® Resorts & Spas from one of our favorite Hollywood stars? On a recent trip to the luxurious Secrets Playa Mujeres Golf & Spa Resort, actress Kelly McCreary shared some of her amazing photos from a romantic getaway with her husband, and answered a few questions for us that we know you’re dying to know about a Secrets getaway! Read on for romantic details and travel tips from Kelly’s holiday in the sun! Get the Inside Scoop: We’re Sharing Secrets About Secrets Resorts & Spas! Ever want to get the inside scoop on your favorite Secrets Resorts & Spas locations? We asked some of our most dedicated fans from Secrets Society to tell us their tips and tricks for making the most of their Secrets vacations and compiled a sampling to share with you! Where is the best place to eat? 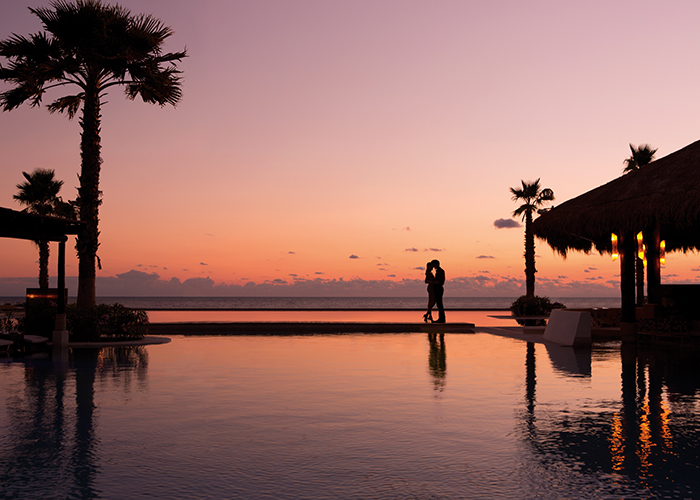 Is there a secluded spot at one of our resorts that’s perfect for a romantic rendezvous? What about packing tips? Our fans tackled these questions and more by #SharingSecrets on social media. From #SecretsSociety member @michellelarondeau: The second you think of packing something, PACK IT. Don’t wait or you will forget again. @Hibbetta68: Let @SecretsResorts know if you’re celebrating something special, they will help make it extra special! @LANNREED: Book private transfers from @SecretsResorts when traveling to Secrets. Perfect way to start vacation. @Illini5350: My travel tip on #TravelTuesday pack empty bag inside your luggage for those gifts you purchase on vacation. @MissFrench: @SecretsResorts my top Secrets vacation tip is to pack everything airtight in gallon-sized ziplock bags! @jp62947: Looking forward to my @SecretsResorts vacation soon! Remember sunscreen & don’t forget to let your hair down! @steash74: Buy a insulated Bubba Keg from Cdn Tire b4 ur trip to keep ur drink nice and cool poolside. @marlen514: For a faster way to pack, create a master list of items that you always take with you. @ldiecks: If you go to #SecretsTheVine you have to go to Dragons for the California roll, to die for! With these travel tips from #SecretsSociety, you’ll be ready for paradise in no time! Secrets Resorts & Spas is calling your name! If social media missions like these sound like fun to you, sign up to be a part of our #SecretsSociety community! Complete missions each week to earn points toward fun rewards like Secrets-branded merchandise, excursions to take during your vacation and, the grand prize, an all-expenses-paid vacation to a Secrets Resort & Spa! Join today!